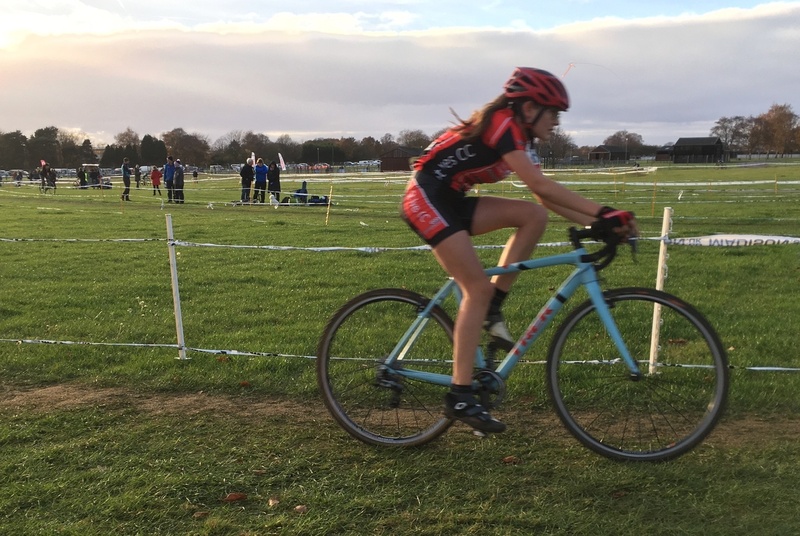 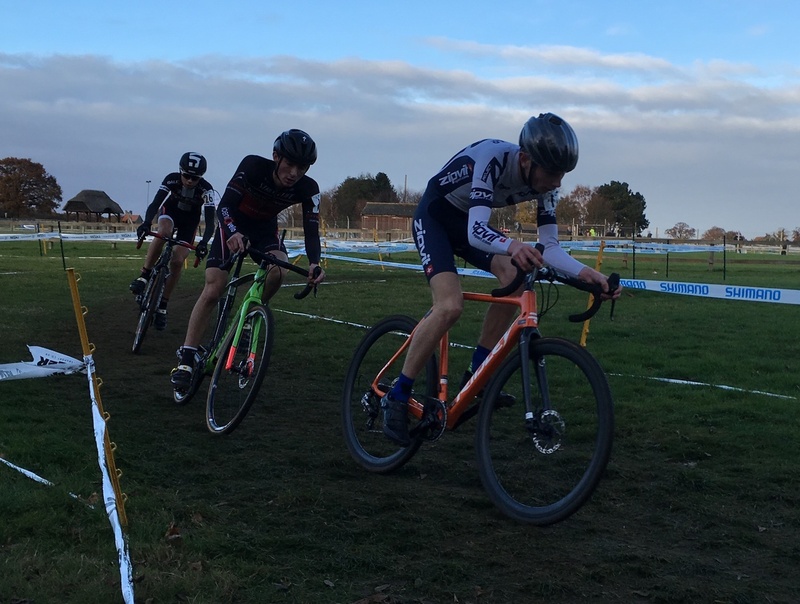 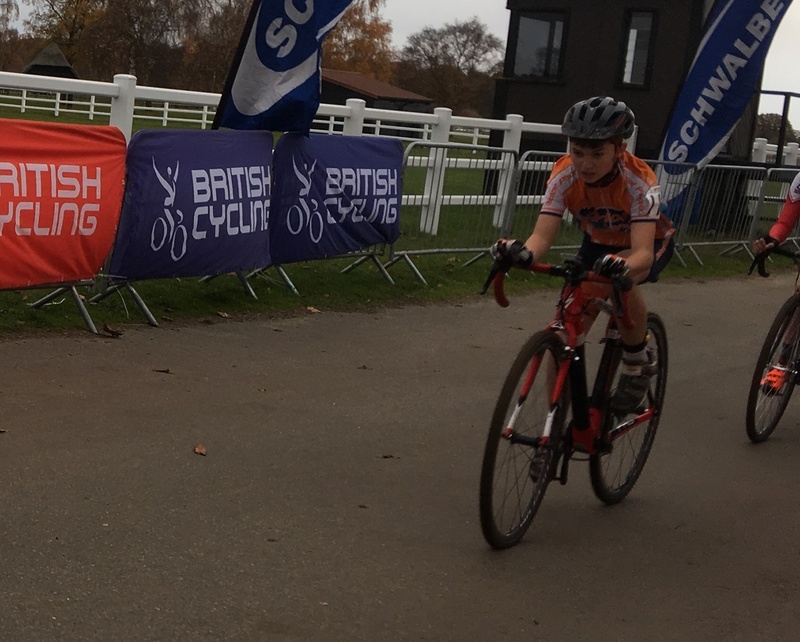 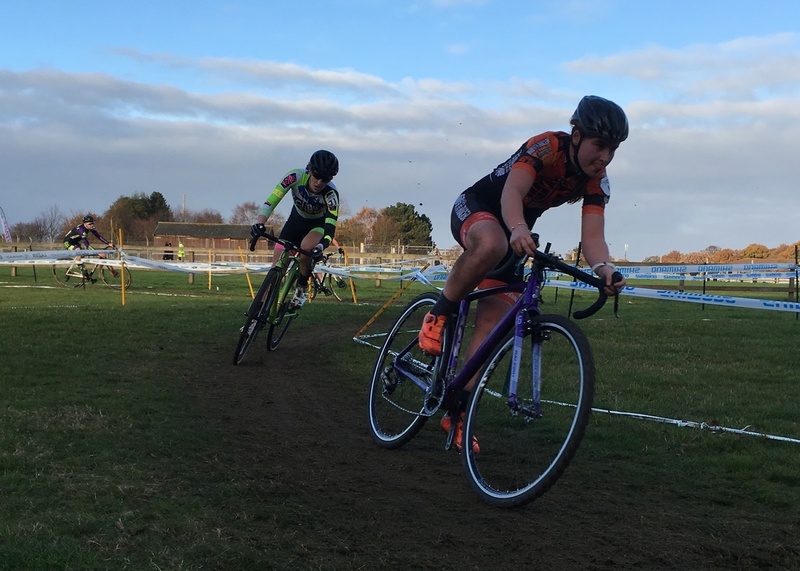 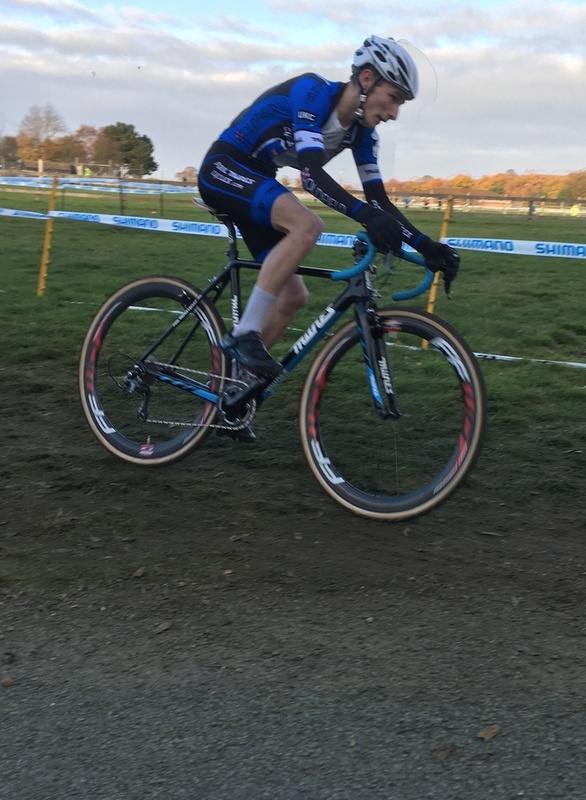 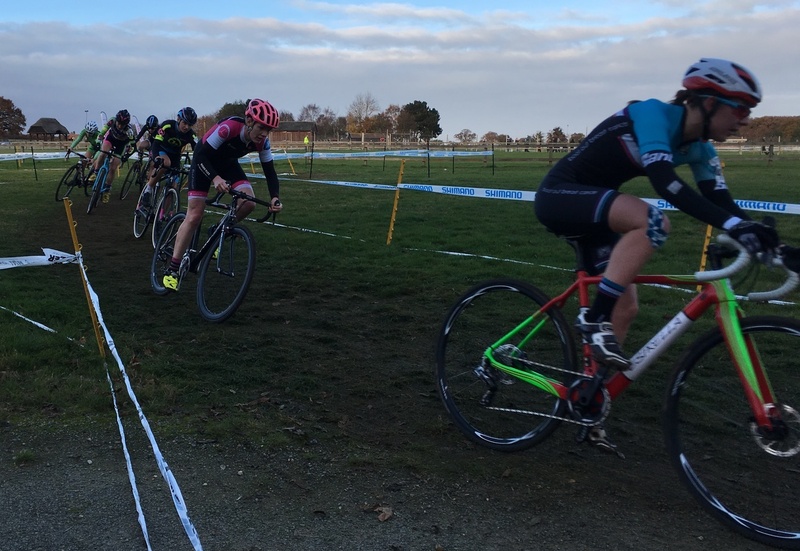 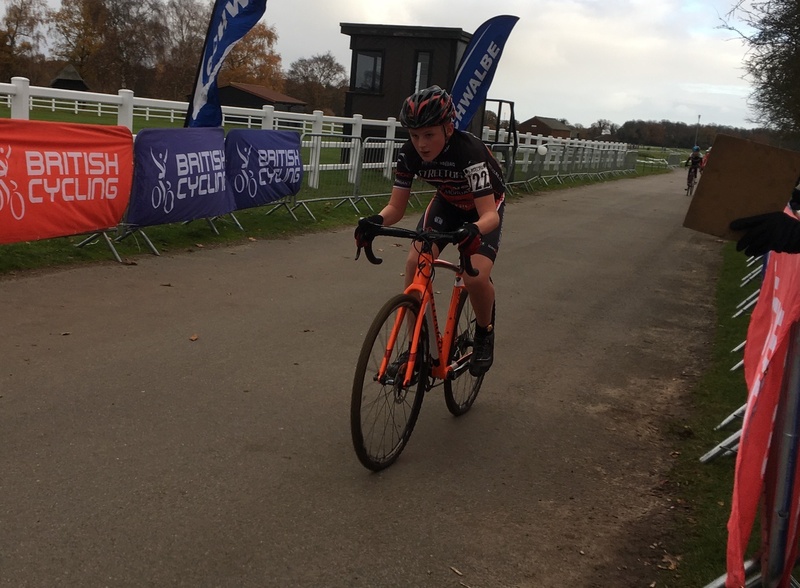 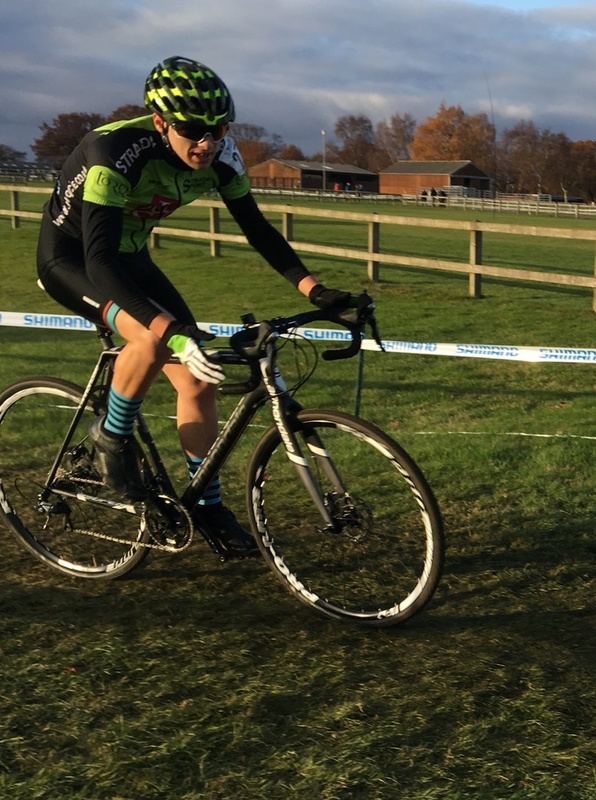 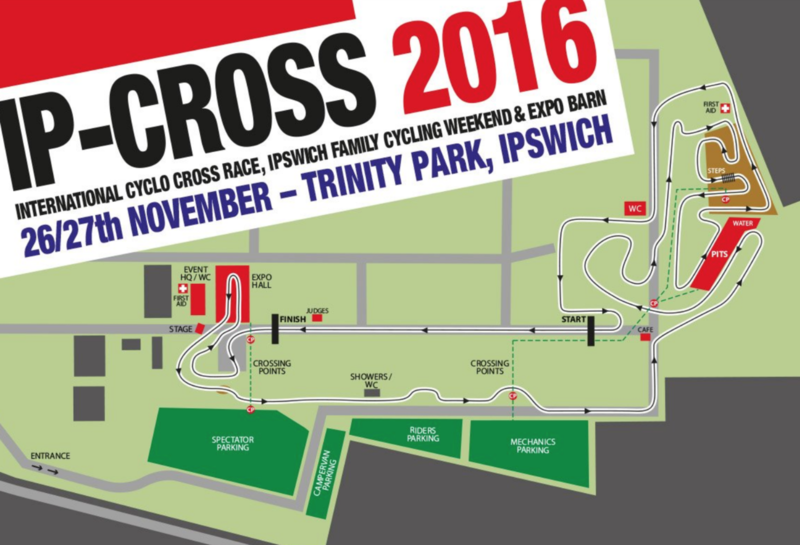 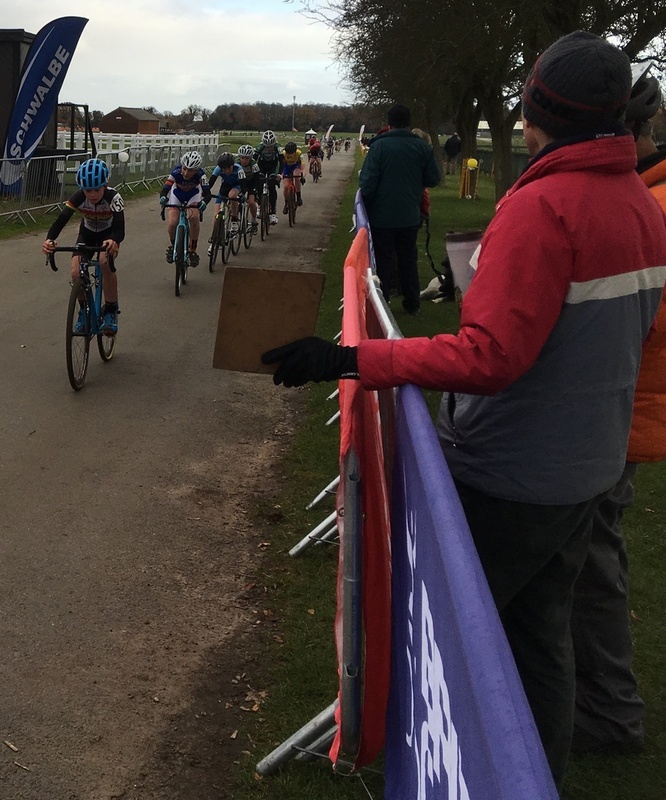 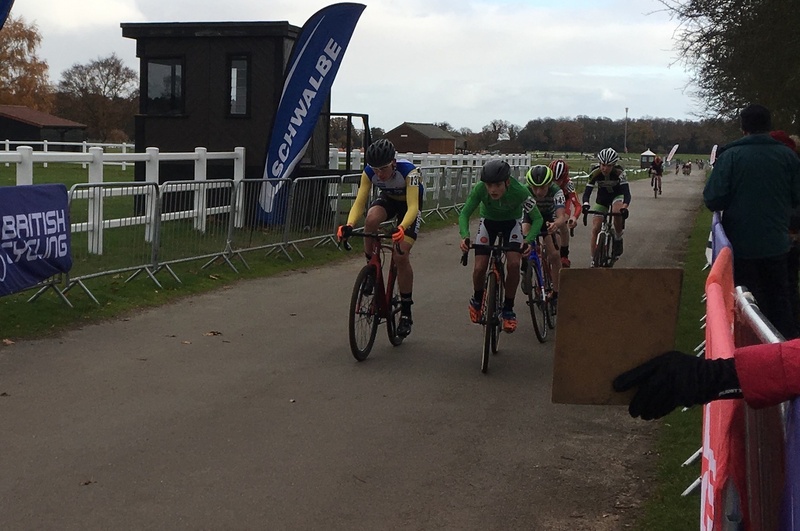 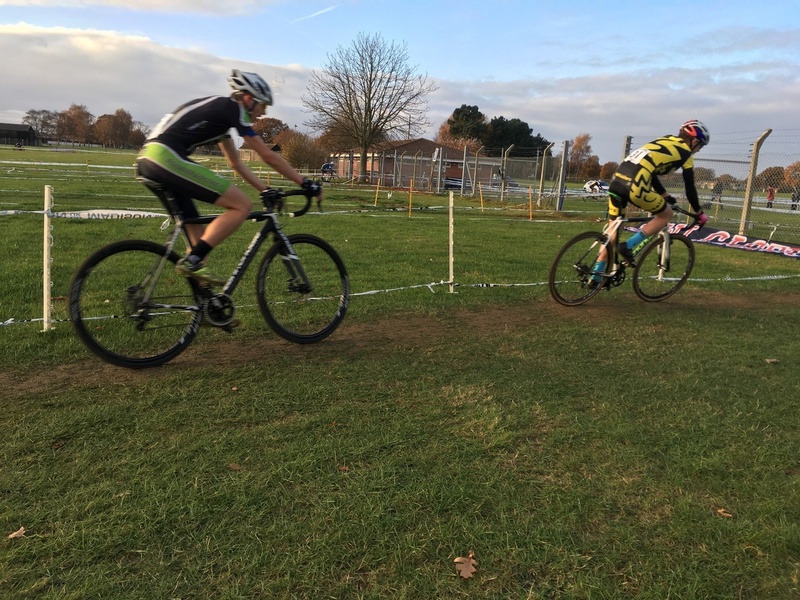 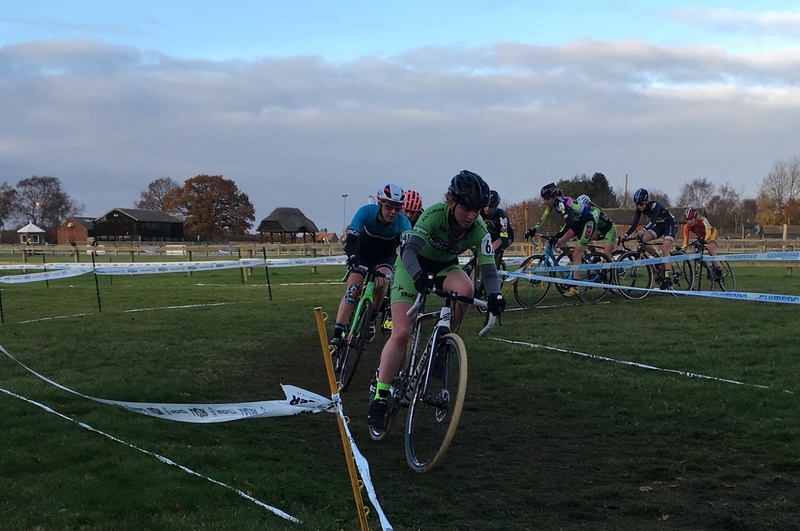 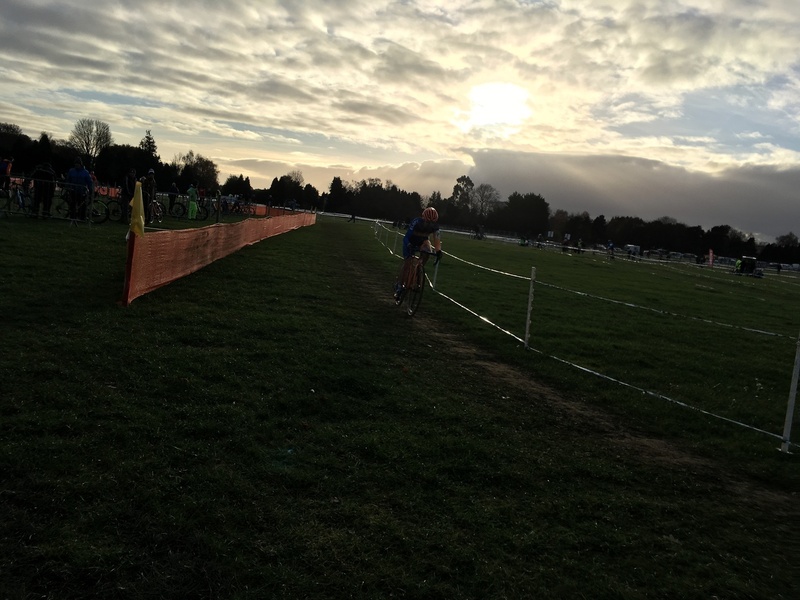 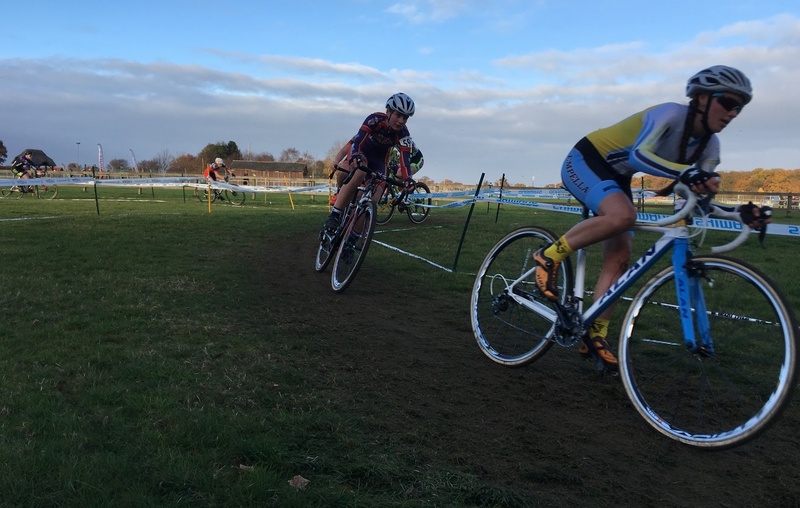 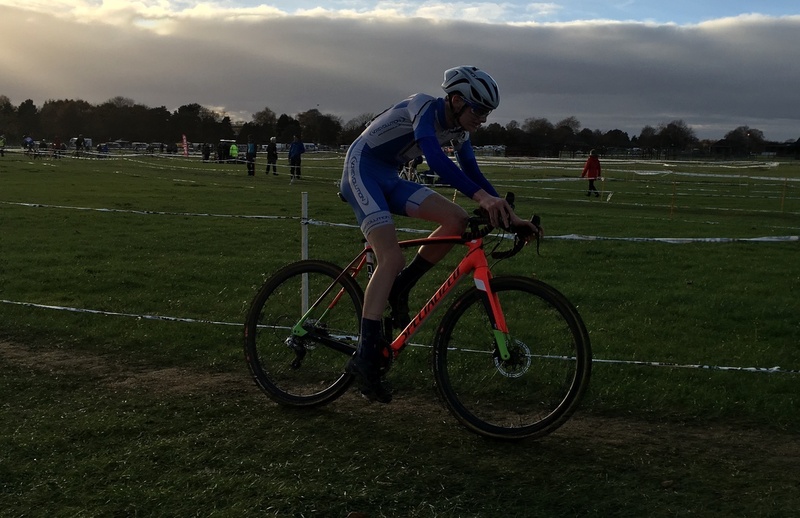 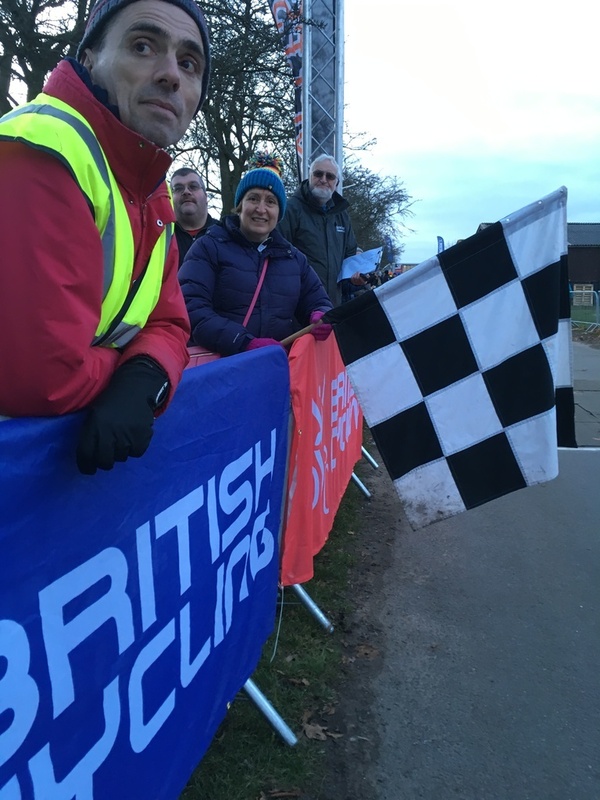 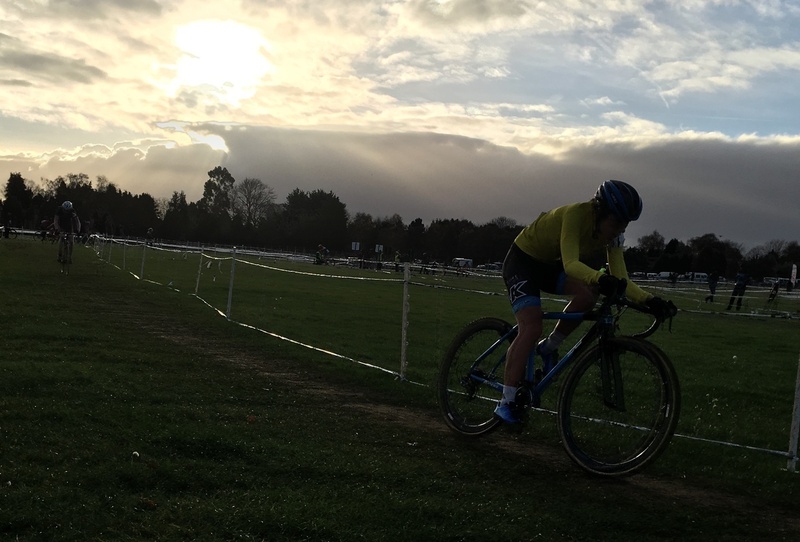 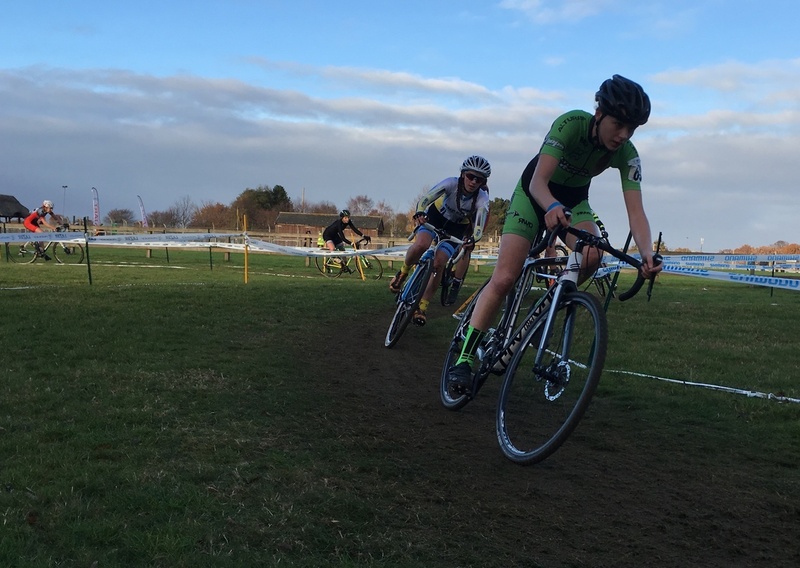 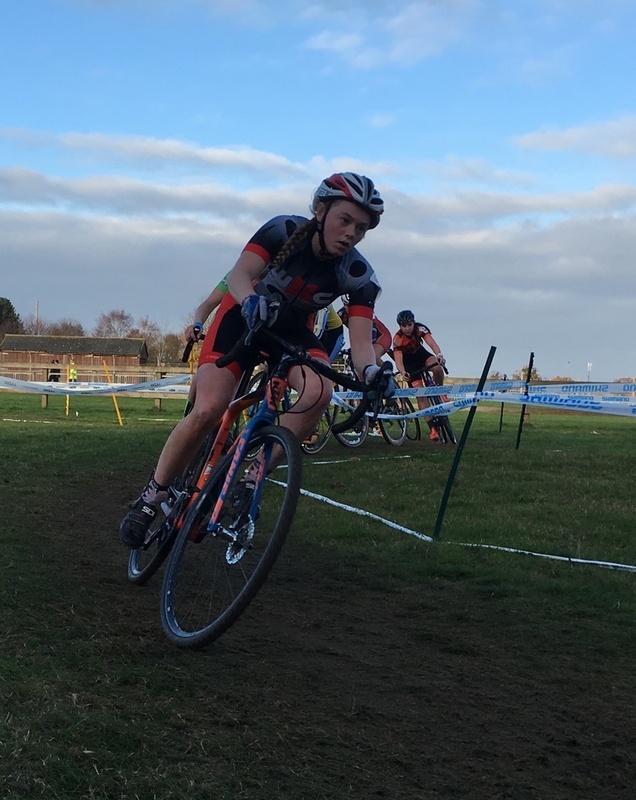 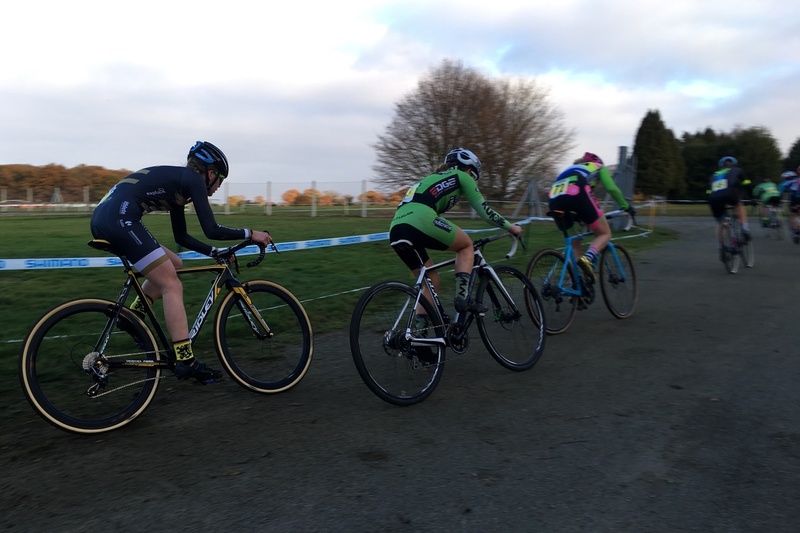 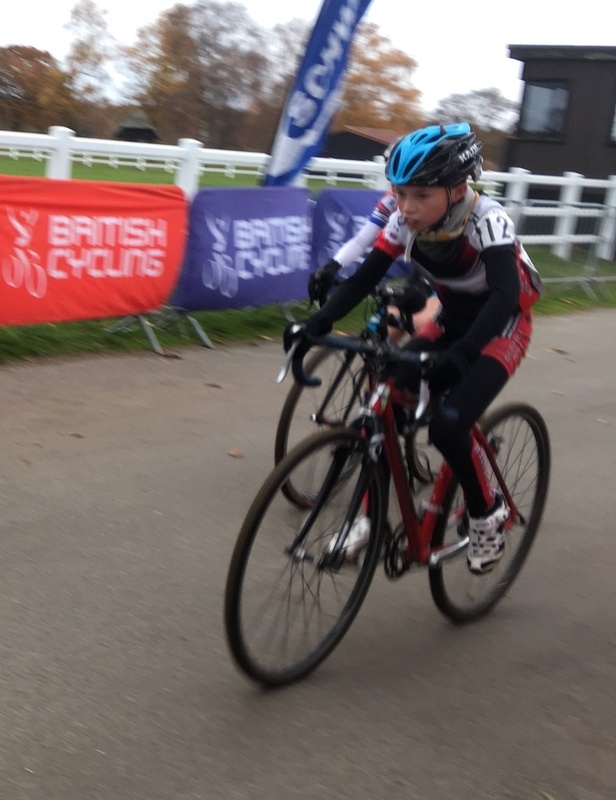 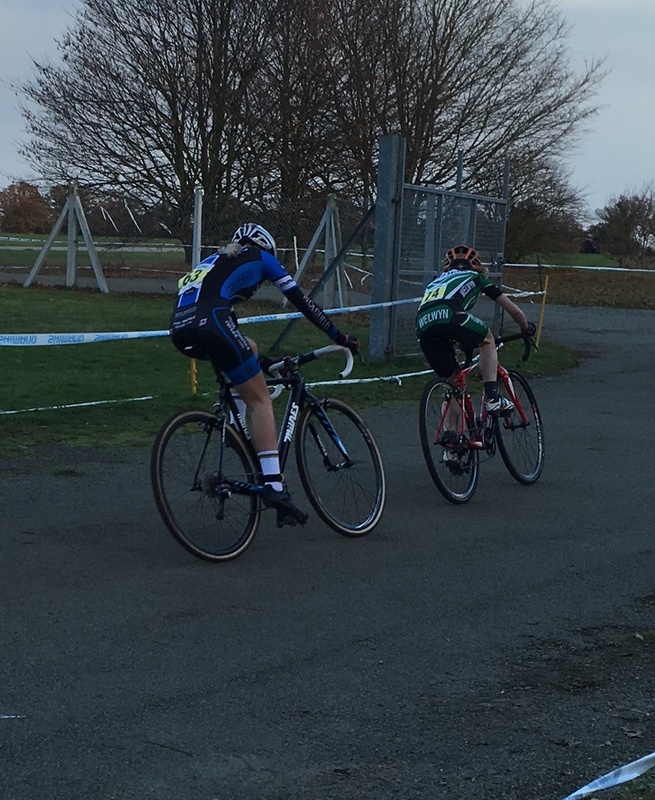 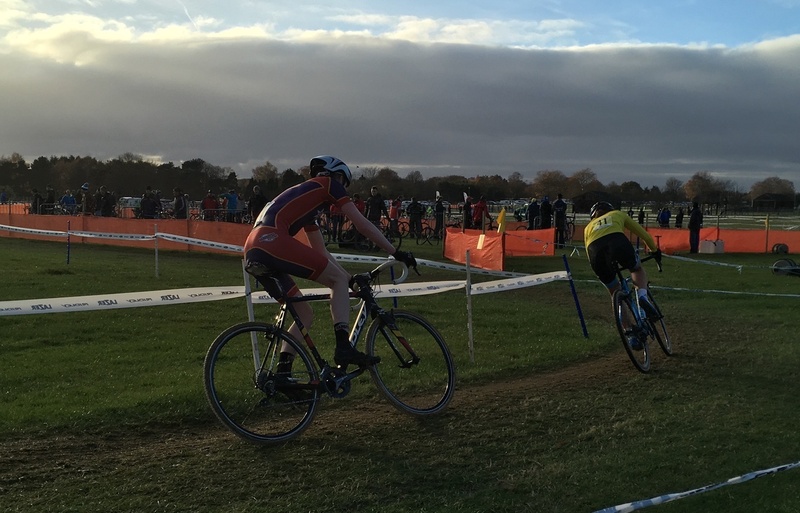 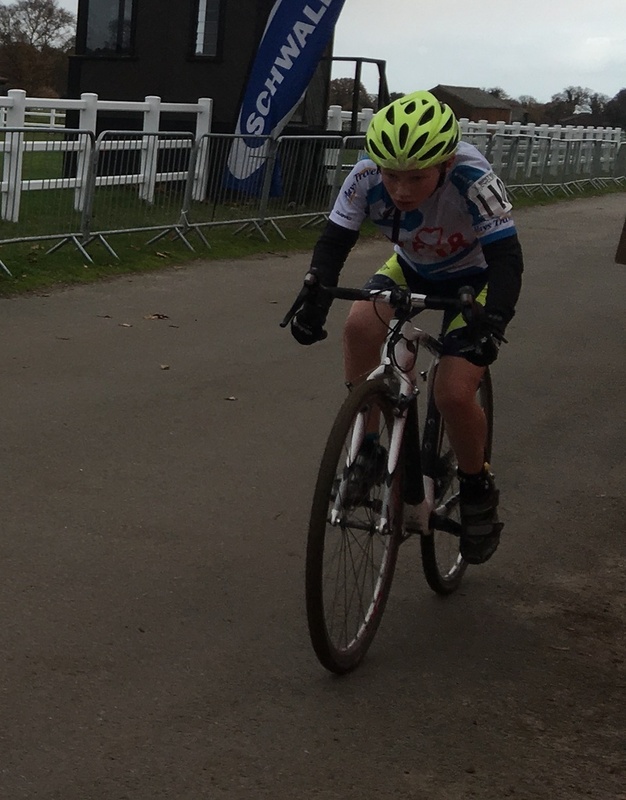 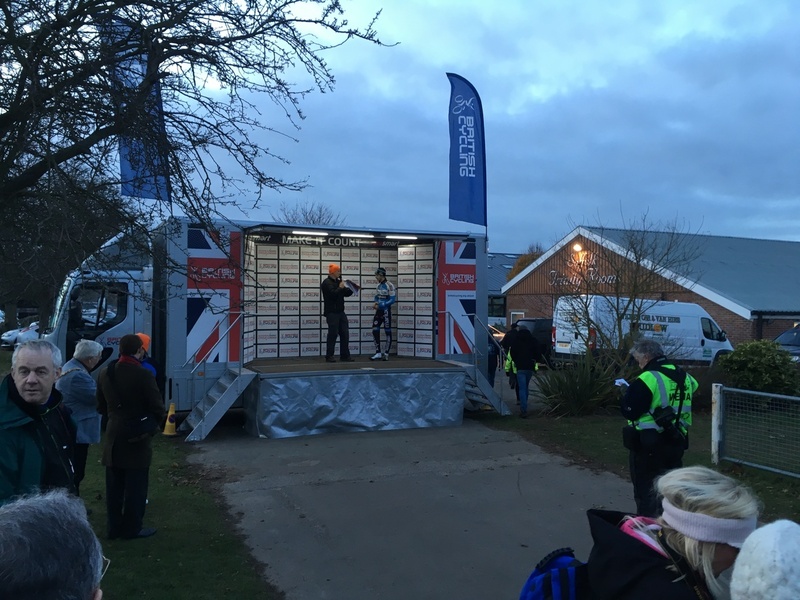 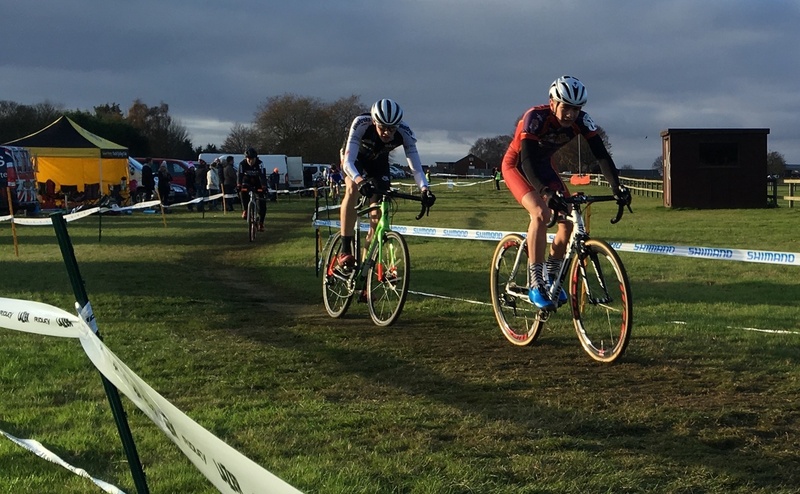 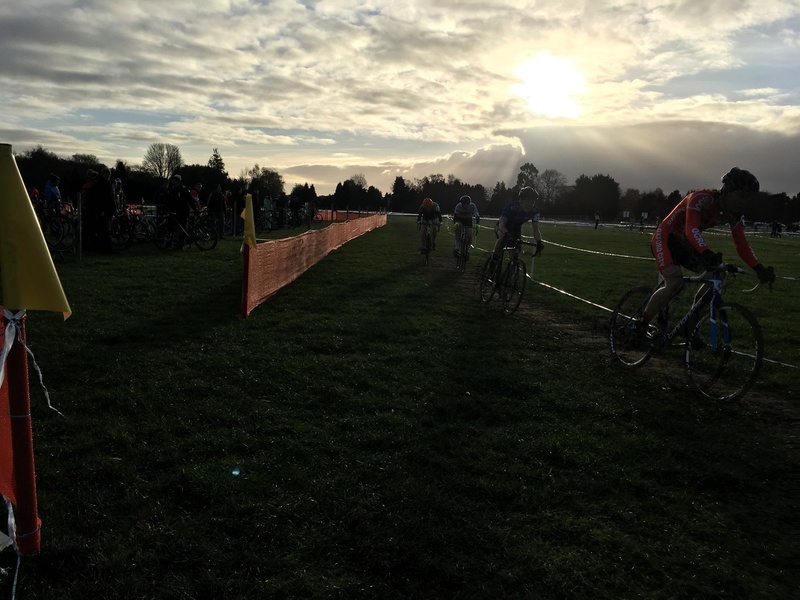 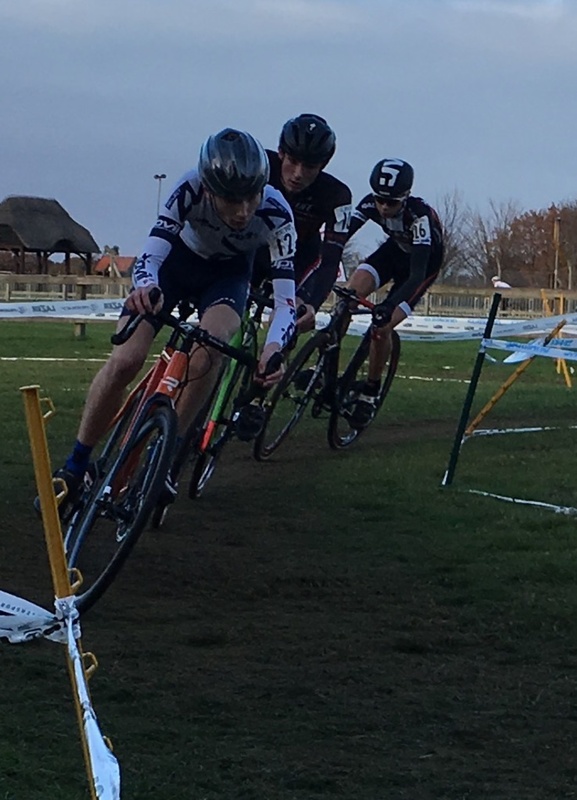 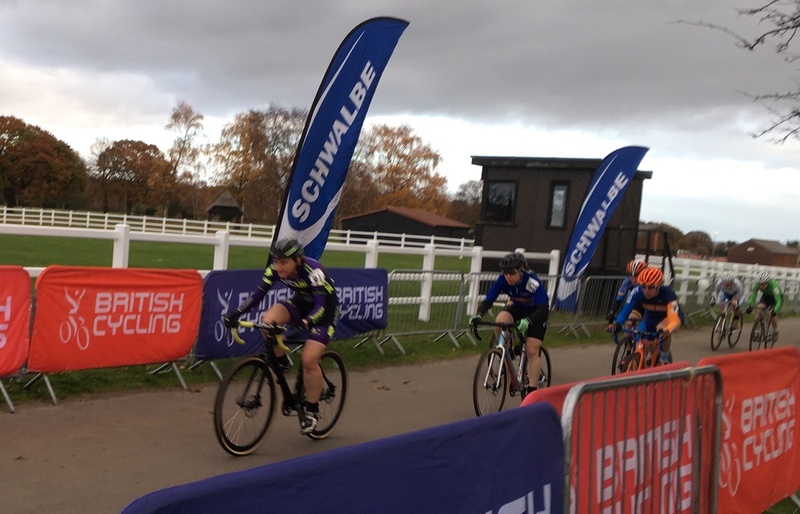 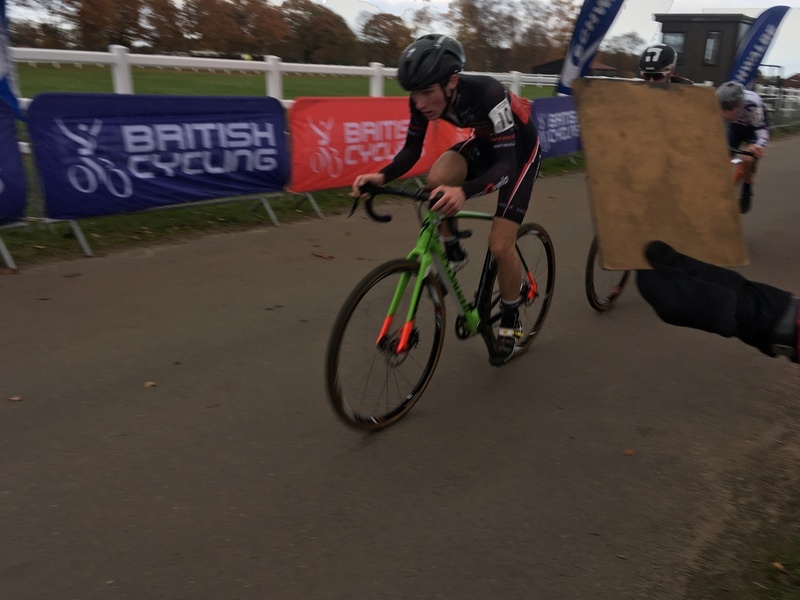 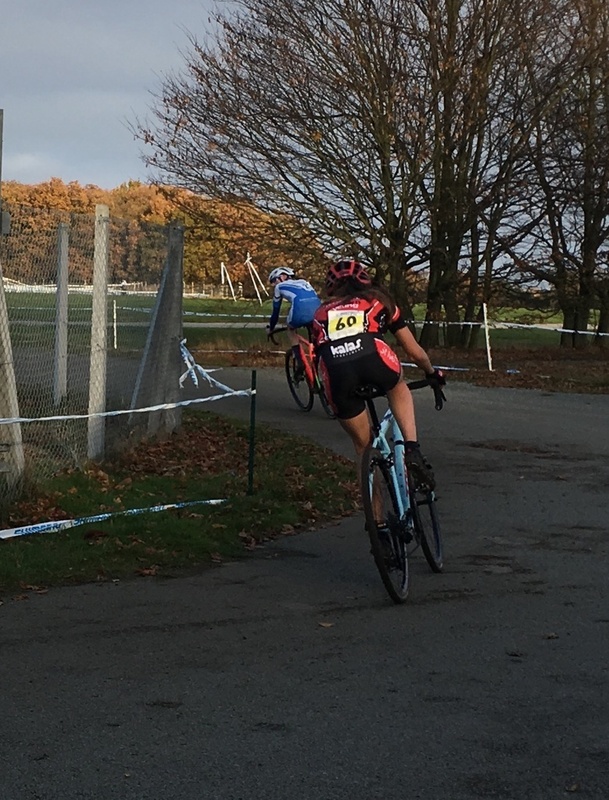 Ipswich BC hosted an excellent day of cyclocross racing for round 4 of the British Cycling National Trophy. 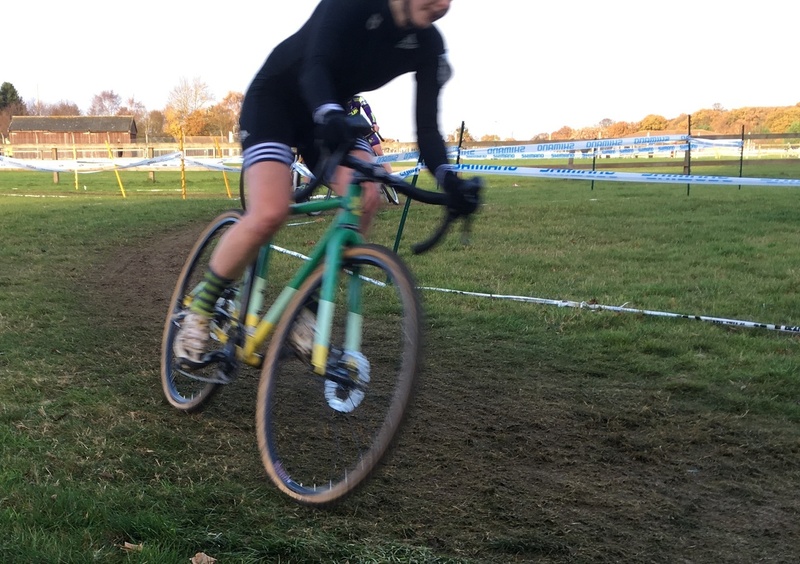 The course had a lot of flat sections and this, combined with little recent rain, made for some high speeds. 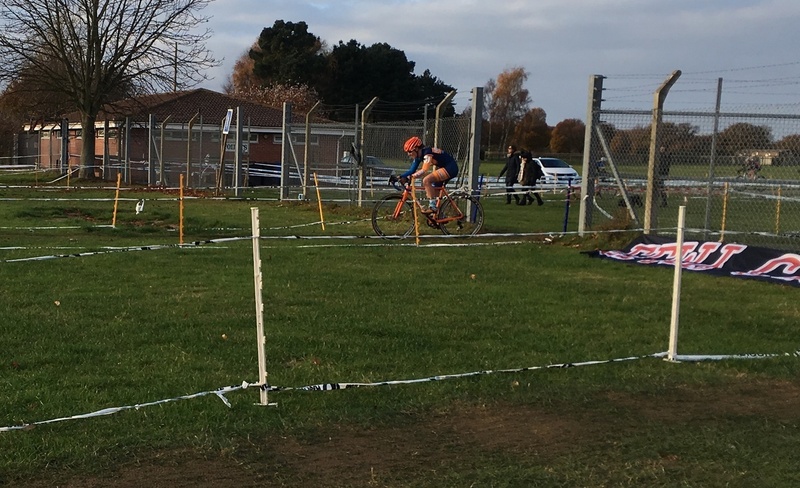 The 4x4 training ground tested the technical skills, and a few people came a cropper on the tricky descents, steps and sand-pit. 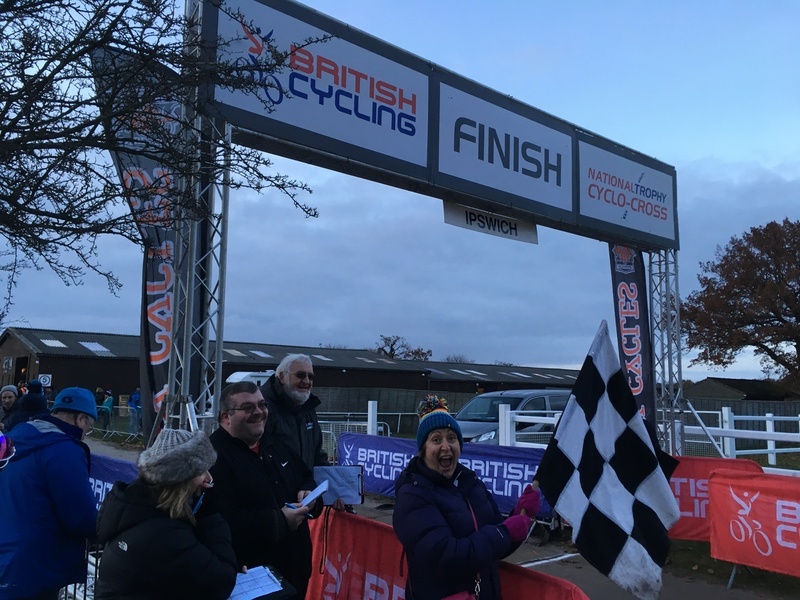 The organisers also threw in double barriers, just before riders hit the electric atmosphere of the giant barn that was packed with bike stalls and cafe.